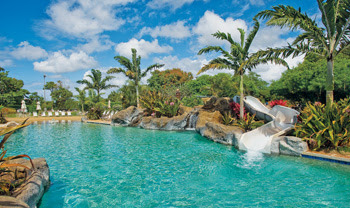 All guests are invited to enjoy use of the Poipu Beach Athletic Club. Activities near Kiahuna Plantation in the Poipu Beach area. Available (free) to our guests with swimming for adults and children. The big water slide and sandy beach is excellent for children. The swimming pool is an amazing 82,000 gallons. Admission to the club to use the facility, gym, pool, jacuzzi, is free, but any additional classes taken would be at our guests expense. The Poipu Beach Athletic Club has transitioned from a swim and tennis club to a multi-sport athletic facility. The Club offers a full compliment of activities and services. Members can choose to relax by the pool, enjoy a fitness class, get a good workout at the gym, or play one of their many sports. Fitness is fun! This is especially true when you are playing tennis on the purple surface of one of the clubs four brand new USTA Tennis Courts. Recent additions to the Club amenities also include two Basketball Half Courts, Pickleball and Shuffleboard! Coming soon members will be treated to a new expansive fitness center, member lockers and shower facilities. A Pro Shop is also on the way! Plantation Garden Restaurant offers original entrees at their best. Located at the Kiahuna Plantation you will enjoy dining amongst the beautiful gardens on-site. Set in a nostalgic plantation manager's estate surrounded by lush gardens and carp ponds, Plantation Gardens has been a Poipu favorite for over 35 years. Open-air lanai, bamboo ceiling fans, Brazilian cherrywood floors, and a solid Koa wood bar enhance the unique Hawaiian dining experience. From the Seafood Laulau entree to the Banana Lumpia dessert, you'll savor a fine blend of old and new culinary traditions. Full bar. Casual attire. including top honors in the Zagat restaurant survey. 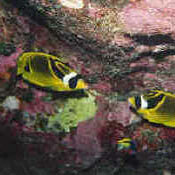 Snorkeling and Scuba abounds in luscious Poipu. Surfing lessons are available right at the Kiahuna Plantation Resort. Located right across from your condo is a 18 hole championship course designed by Robert Trent Jones, Jr. Opened in 1984, this course overlooks the Pacific Ocean and and reminds Jones personally of the rolling links of Scotland. The Golf Course literally sits right across the street from the Kiahuna Plantation resort. 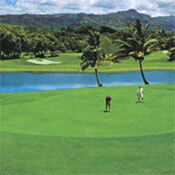 The Kiahuna Golf Course is a must play for golfers staying at the Kiahuna Plantation. Eat at Joes on the Green for exceptional food and views! 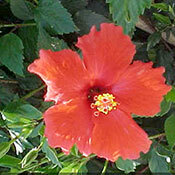 So much more, including Kukui`ula Village, come and explore!